Mucinex is a drug used to relieve the cough. 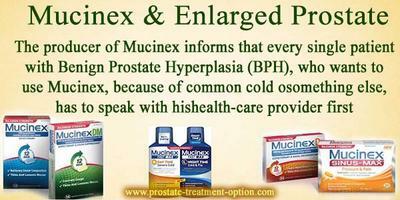 QUESTION: How does Mucinex affect an enlarged prostate? At first, I want to remind you that Mucinex is a drug used to relieve the cough. However, as any other drugs, Mucinex has side effects and precautions, to which you have to pay attention. Any ways, the producer of Mucinex informs that every single patient with Benign Prostate Hyperplasia (BPH), who wants to use Mucinex, because of common cold or something else, has to speak with his health-care provider first. This is quite important, because several patients, with BPH, who were using Mucinex, reported that the urination became even more difficult during the treatment with Mucinex. However, some other patients with the same condition, who were using Mucinex, haven’t mentioned something like this. My advice for you is to reconsider using another drug, which can help you with the cough, in purpose to avoid possible complication, caused by Mucinex. 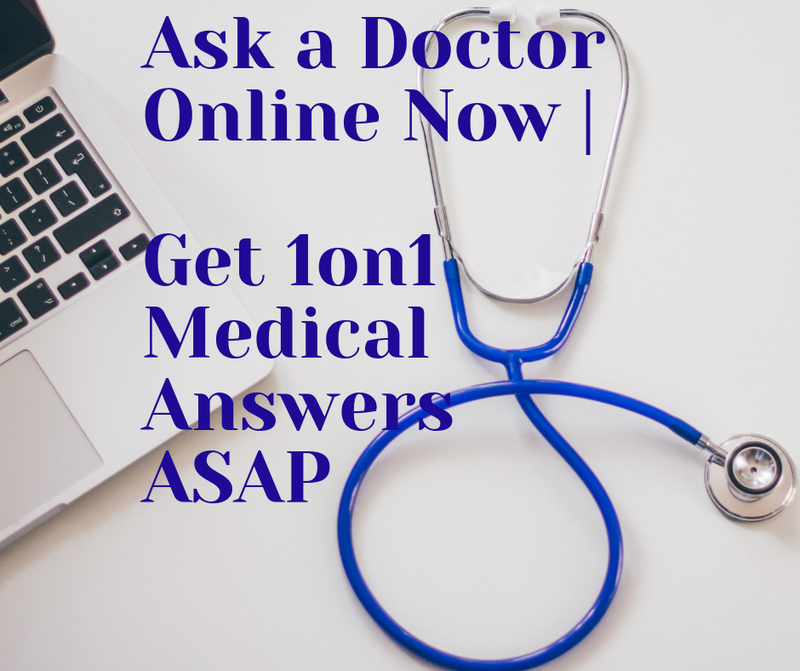 The best option for you is to speak with your physician about other drugs are available in your country. Besides this, if you tell me where you live, I can tell you which drugs you can use for your cough, without being worried for aggravation of the BPH symptoms. Can be benign prostatic hyperplasia treated with scopolamine? QUESTION: Can be benign prostatic hyperplasia treated with scopolamine? There are only two groups of drugs used for the treatment of BPH, which are alpha blockers and 5-alpha reductase inhibitors. With regards to scopolamine, let me tell you that it is a muscarinic agonist, which means that it is not a part of the BPH treatment. Besides, it is very important that you should not use Scopolamine if you have BPH, because this drug is able to aggravate the symptoms by causing severe urinary retention. Because of this, you have to make a consultation with your doctor about the usage of scopolamine and to make him consider drug replacement. You have to know, that patients with BPH, like you, do not have to use muscarinic agonists at all. So if your doctor tries to prescribe you such drug, please remind him/her that you have BPH, which is contraindication of muscarinic agonist usage. The stimulation of the M-receptors (muscarinic receptors) by scopolamine or other drug will stimulated the growth of your prostatic cells. This overstimulated growth will lead to severe prostate enlargement and we do not want this. 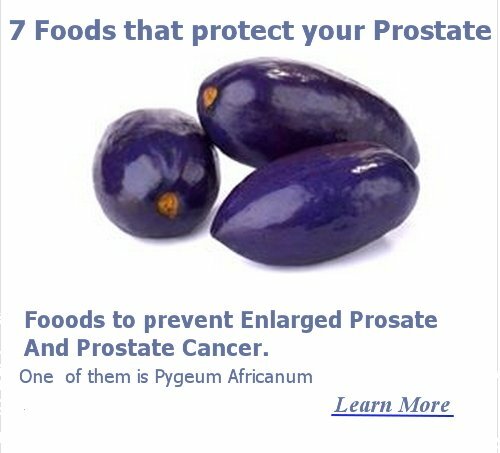 The usage of this drug may force you to visit the urologist for a prostate operation, but there is way to avoid this - by stop using this drug. Next, although I am not sure why you are taking this drug exactly, I want to remind your that it is applied on patients with different conditions, but you have to know that every disease can be treated with different drugs. Furthermore, I am also sure that there are other drugs, which can be very useful for you, so one more time, make an appointment with your doctor with the right drug replacement purpose.